A poster is also being used for marketing these days. It functions mainly to capture a moving audience with a certain message. For your poster to be effective, it should be carefully designed and planned, remembering that there is only a short amount of time for you to attract your readers. One aspect of the information must be conveyed accordingly. After knowing the most important information, you must have an image that you think will best convey your message in a visual way. Will a large image work? Or would several small images be better? How must the words be placed so it can have a good effect? It is also important that the format of the poster be determined at an earlier time. This includes the size of the poster itself, the appropriate text size and picture size that should be used so that it will not look too bare or crowded. And finally, consider the place where the poster will be placed. Explore and look for possible alternatives with thumbnails in order to find the most dynamic and effective visual imagery. 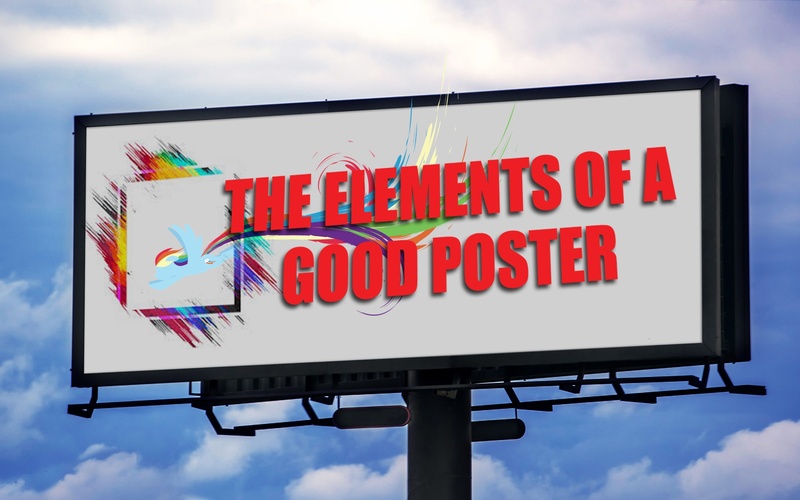 Remove any superfluous detail and work out the proper size and placement for every element in the poster. Also, do not forget the balance and proportion since you are most definitely be working on a large scale. 3. The poster should also include all the important information such as the product name, location, contact number and other information for them to take action.